Despite a growing body of scientific research that speaks to the contrary, U.S. Attorney General Jefferson Beauregard Sessions III has said that marijuana — a drug on which it is all but impossible to overdose — is “only slightly less awful” than heroin, a drug that claimed over 10,000 U.S. lives in 2015. Meanwhile, legalization advocates argue that increased access to marijuana could be a tool to fight the opioid epidemic. There’s a lot of conflicting information out there, which is why the pair of scientific papers regarding medical marijuana’s effects, published Thursday in the journal Addiction, could not have come at a better time. In their papers, the researchers sought to clear up some of the misinformation surrounding the legalization of medical marijuana. One paper, a systematic review and meta-analysis of how medical marijuana laws have affected teen use, found that medical marijuana laws have not led to increases in teen marijuana use. The other paper, an editorial, makes the argument that it’s too early to conclude that expanding access to medical marijuana will help stem the opioid crisis. It's too early to say exactly what societal effects medial marijuana legislation will have. The meta-analysis examined 11 papers for behavioral patterns in states with medical marijuana laws versus states without them. The researchers found that there were no significant changes in adolescent marijuana use following the enactment of medical marijuana laws. 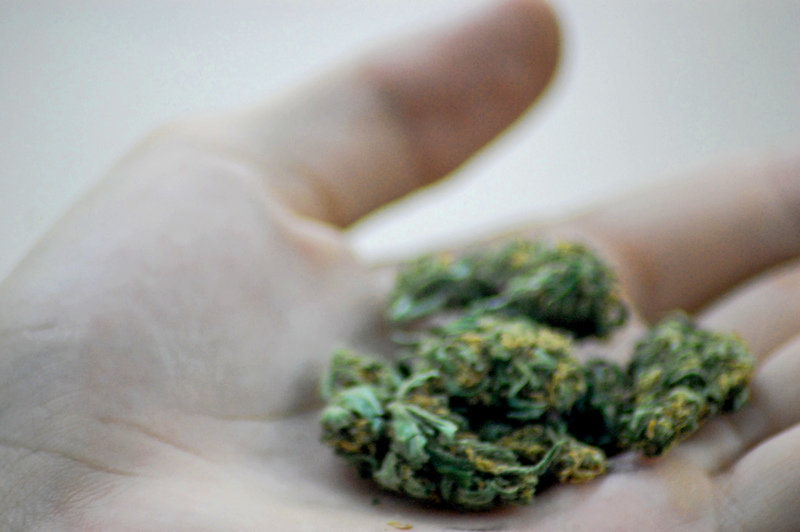 However, the researchers caution that recreational marijuana laws could have an effect on teen marijuana use, so they recommend continued monitoring of these trends. The editorial about opioids, while not a peer-reviewed study, presents the viewpoint of researchers who argue that there simply is not enough evidence to say that marijuana can help people with opioid use disorder stay away from the dangerous drugs. One of the biggest shortcomings to the research, they point out, is that studies supporting the marijuana harm-reduction hypothesis don’t do a good job of controlling for confounding factors. Furthermore, not enough studies compare the reduction in opioid deaths in states where marijuana is legal to the reduction in in states where it is illegal. That being said, they don’t argue against expanding marijuana legalization for helping opioid addicts. They do, however, preach caution and warn against the effects of confirmation bias that could lead marijuana advocates to see any evidence as support for their sincerely-held position. Marijuana is enjoying its greatest level of acceptance ever in the United States: medical marijuana is legal in 29 states and Washington, D.C., and more states will likely follow suit in 2018. The two ideas presented in these papers — that legalization will lead to more teen abuse and that marijuana use can help treat opioid dependency — are the key societal implications of marijuana legalization, and in coming years they will surely garner increased scrutiny by academic researchers and government offices alike. Perhaps eventually politicians will also pay attention to the evidence instead of arguing from a position of emotion.